If you regularly browse the web with no ad blocking software installed, I would venture to guess that you have come across a website that looks something like this. A page with a busy background – one that might be an ad itself – and with sidebar ads, ads across the top above and below the navigation, ads along a gutter to the side of the content, ads within the content. When you look at a page like that, what do you see? Where is the content? You see a headline, but there’s no actual page content above the fold. If you’re lucky, you might get a paragraph or two. This is obviously the wrong way to do things. It’s far too many ads, and it hurts the user experience. 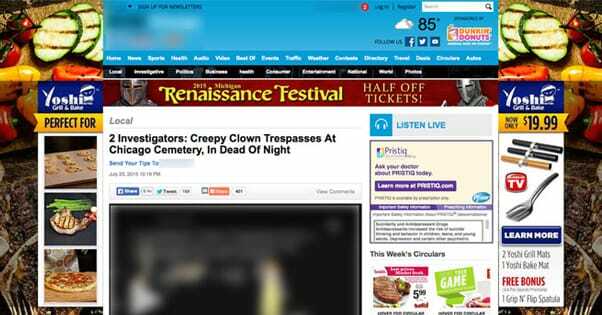 Sites like that are why I installed my first ad blocker years ago and have never looked back. It’s even worse on the mobile web, where ad blockers require rooted devices or special workarounds. You have invasive ads that open tabs that are difficult to leave or close, and it just destroys the user experience. Even otherwise good sites can have bad ads, and it makes users not want to use your site at all. Having too many ads is clearly a problem. Google doesn’t have specific guidelines for ad density, but they do have a lot of guidelines for ad placement and ad usage. For example, they don’t want ads that push content below the fold on a desktop website, and they don’t want ads with over 30% density on mobile. The fact is, though, that there’s no fixed number of ads that can be labeled “too many” these days. A site can have sidebar ads, a slide-in ad, in-text ads, and a banner across the footer and still be reasonable in design. 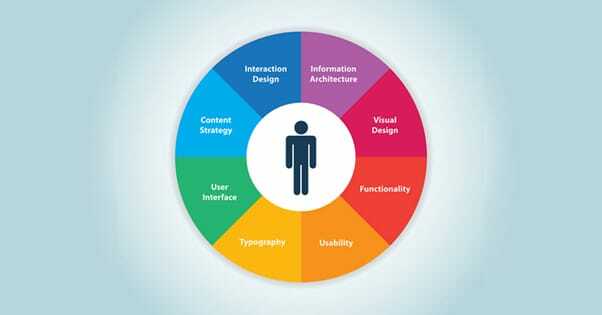 The content can be front-loaded and it can be tasteful, without getting in the way of the user experience. On the other hand, all it takes is an overly large or poorly designed sidebar or text ad to make just one ad look like too many. Even when Google had limits on the number of ads on a page, some sites would just ignore that guideline and absolutely nothing bad would happen to them. The restrictions were largely toothless. 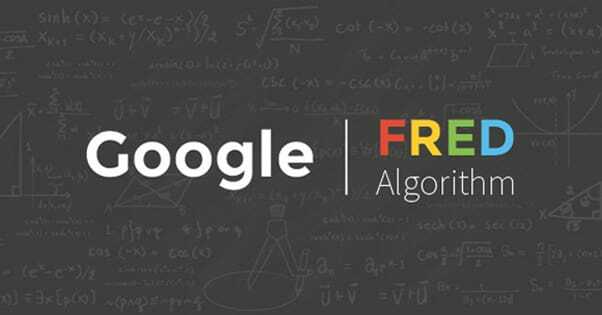 SEO pros named one particular Google update – unnamed by Google themselves – Fred. The Fred update hit early in 2017 and has to do with ad density and the user experience. Essentially, Google now looks at a web page and tries to determine how difficult it is to interact with it organically. How many ads are on the page, and how many of them are obstructing the content the user came to the page to see? If a user runs a query for a search term and finds a page, they want information about that term on that page. If they’re confronted with three ads before they can even see the page, Google is going to determine that the page has issues. Google weights the value of the content against the number of ads on the page. The more ads on the page, the stronger and more valuable the content needs to be before it can rank without penalty. On the organic side, your content needs to have as many of the indicators of value as possible. Having lengthy, focused content without keyword issues, overt fluff, or misinformation is important. Including multimedia is great. A strong sense of branding can help, and having non-monetized content can show you’re in it for more than just money. Essentially, Google wants you to front-load value as much as possible. They don’t mind if you want to monetize your content, but they don’t want your monetization to get in the way of the value you provide to people who show up. It makes sense, right? A user wants value from your content when they find you in search. If you make it overly clear that you want money from them more than you want to help them, they’ll be less inclined to trust your site. More importantly, they’ll be less inclined to trust the value of the search results Google provided to them. It’s important for Google to keep up that trust, so they strive to provide the most valuable results. This is why so many top-tier sites these days actually have a minimum number of ads and focus instead on their own storefronts, on affiliate links, or on other forms of monetization, like consulting or a membership program. If your content is not very good, if your content is relatively thin, or if your content is short, you should go with fewer ads. I would stick with less than three individual ad units on the page, and keep them out of the way of the content. Your content isn’t good enough to warrant disrupting it; if the user reading pattern is interrupted, they’re just as likely to leave. Stick with sidebars and footer banners. If your content is mediocre, around 1,000 to 2,000 words with very little in the way of additional multimedia, branding, or support from the rest of your site, you can add a bit more advertising, but you shouldn’t overdo it. Somewhere in the 3-4 ad unit range, or 1-2 ad units and an affiliate link can be fine. Just don’t make a thin shell site for affiliate links and expect it to rank well if you lace it with other ads. High quality content – over 2,000 words, with multimedia and strong value – can handle more ads. 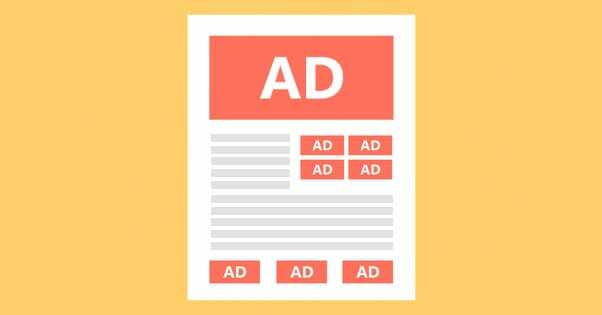 You still shouldn’t exceed 4-5 ad units, especially if you’re using multiple ad networks instead of just one, but you can use other forms of marketing as well. This is where an affiliate link and maybe some internal marketing – like for an ebook – can come into play. Of course, there’s a tier above, where sites like Forbes can get away with whatever they want to do. Forbes has their welcome screen get in the way of any new visitor for the day, and Google doesn’t penalize them for it. Sure, they might see a minor decrease in ranking for older pages or for tertiary topics, but a site like Forbes publishes so much high quality and unique content that a few ads can’t hurt it significantly. Then again, at the same time, display ads aren’t going to be making them millions either. I’m going to make two arguments for you here. The first one is that fewer ads can actually be better for your site than more ads. When you have a bunch of different ad units on your site, one of two things happens. Either they display the same content, which makes them redundant and makes your site look bad, or they display different content. When they display different content, they dilute the focus of the ads on your page. Maybe some people want to click on one or another, maybe some will be indecisive enough to not click on either, maybe some will click on both. The main problem is that the more ads you have, the less focus those ads have with your content. If you’re writing about organic product, you would want ads that focus on organic produce, so people who visit will have an interest and can click through to the ads. You don’t want five different ads, advertising produce, supplements, a diet program, non-organic produce, and other organic products. To an extent, this goes back to the concept of choice paralysis. You give users a decision between two things, most of them will choose one or the other even if neither fully fits their preferences. You give them ten options, and sure, there are better choices for most people, but it’s also a lot more work to decide which is best. A lot of people simply make no choice. The fact is, one or two really good, highly targeted ads are going to do a lot better for your site overall compared to five or six less targeted ads on a page. 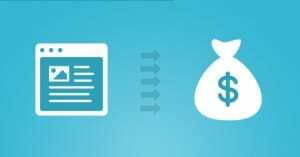 When you can have ads that jive with the content to a high degree, you’ll have more conversions, and make more money from them. A lack of quality control over the ads. 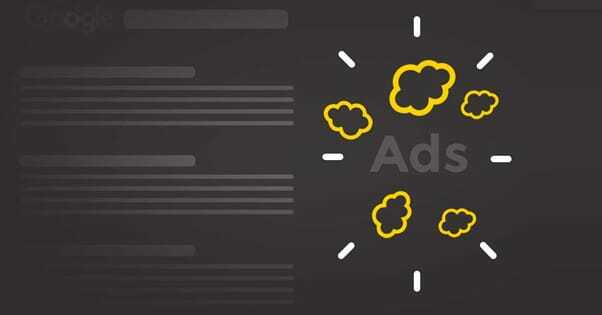 Most ad networks give you the basic ability to blacklist specific ads, sites, or keywords, but you still don’t have direct approval and you never know how long something has been running before you catch and deny it. A loss of value the user might have contributed. Each click on an ad represents someone making you a few cents, yes, but it also represents someone leaving your site. That person could have brought more value to you if they had stayed on your site instead. An intrusive system. The reason ad blockers are so prevalent is that ads themselves are simply too disruptive. It would be like trying to read a book while a toddler is shouting at you to check out his new toy. A potential for trouble. Not only do excessive ads cause a loss of trust, but ads are also one of the most frequent causes of malicious code distribution online. Using the wrong ad network can cause your site to distribute malicious code to your users. Generally, it’s just too disruptive and too low value for the potential losses. The main reason, frankly, that so many blogs opt for ads is just that it’s so easy. All you need to do is slap a few ad units in your code and you’re ready to make some money. The barrier to entry is low, even if the profits are too. Alternative methods for making money exist, but they tend to require more work. For example, you can run affiliate marketing, or even better, you can find specific businesses you like and ask to form a unique affiliate partnership rather than go through an affiliate network. These kinds of relationships can make a lot more money than a standard affiliate partnership, and you have the added benefit of promoting a brand you actively like. The other, more lucrative option, is to build a focused audience and develop a product you know they would like. News sites like the New Yorker do this through membership portals. Sites like The Chess Website hide some of their content behind a store, where you can learn strategies for a fee depending on the strategy. Other brands sell ebooks or custom software. Of course, this alternative requires an operating budget and is both expensive and time consuming to implement. You need to afford to run your site without the ad income, and you need to afford development of a product. All the while, you need to be growing your audience in a focused way so you know they’ll be interested in your product when you reveal it. The no-ads alternative it not for everyone. At very low levels, where traffic is minimal, ads can be a small supplemental income that can help keep a site alive. 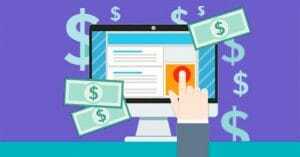 And at very high levels, with large amounts of traffic that nevertheless doesn’t stick around long, ads can be the only way to successfully monetize. For many others, though, perhaps an alternative would be worth considering. Your Blog Was Rejected From AdSense: Now What?